Establishing a personality for your brand is essential for creating a loyal and engaged social media following. A consistent brand personality lets your audience know what to expect from your posts and also helps your team create regular updates with quality content. Social media platforms are widely becoming the most effective way for businesses to get in touch with their community and reach thousands of potential customers. The key to success is putting your best foot forward and showing your audience who you are as a brand. Much like a human personality, brands have a unique identity which is conveyed through their tone, imagery and the people who represent them. This persona becomes evident when you manage the social media profiles for your business. If you’ve already created a recognizable business, chances are, you have already cultivated a brand personality. If you haven’t yet created your identity or want to improve it, read through these tips for creating a strong brand personality for social media. First and foremost, your business personality is created by your people. Whether you’re running your business on your own or you have 100+ staff members, there must be some consistency in the tone of voice. Your tone of voice can be observed on social media through the way you write captions and how your company's representatives interact with followers in the comments. The first step to setting your tone of voice is to create brand guidelines for your social media representatives to follow. You can use Morad Media’s brand standards template to write these guidelines. Consider what tone of voice you’d like to use when interacting with the public – whether that’s authoritative, professional or energetic – and keep this consistent in all your communications. You also might want to take a look at what your competitors are doing on social media to see what generates the most engagement from your shared target audience. However, make sure your voice is unique and stands out from the crowd. On each of your social media profiles, your business’s bio is often the first thing users will see. You want to present yourself in a positive light that shows off who you are and includes key business information such as your industry, address, phone number, website and hours. It is also a good idea to include a little bit of text on your unique selling point. This is an area where you can introduce your tone of voice to show your potential followers (and hopefully buyers) what they can expect from your communications. There are so many businesses that don’t utilize their bio effectively, leaving users with more questions than answers about the brand. 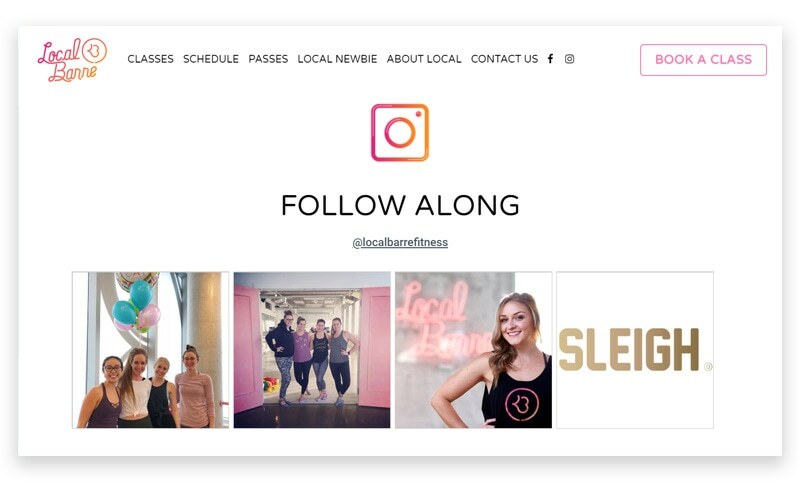 In each of your profiles, be sure to add your business’s logo as your profile picture and, in some cases, a featured banner that speaks to your company culture. This will help your followers immediately recognize your brand. If you already have a logo or website, it’s likely that you already have one or two colours that appear throughout your established branding. If not, it’s a good idea to find one to three colours that represent your brand well, and stick to them! Keep in mind that every colour has meaning and you want this to match your brand personality. If your business conducts itself in a very professional manner, you might consider using blues or neutral colours. On the other hand, if your brand prides itself on your bubbly communication style and friendly approach to clients, you might want to go with a bright colour like pink or lime green. These colours represent the vibe of your brand and make you more recognizable. You’ll want to incorporate these colours in your social media profiles and feed. This will create a sense of cohesiveness and create a memorable perception of who you are. One of the most important points is consistency - it really is key! This happens when your brand voice, colour schemes, and imagery are uniform in style, across each post. Maintaining this consistency in tone and imagery will accentuate the personality of your brand. This will help you build an audience who can immediately recognize your branding, even without seeing your company name. Regular, quality updates on social media will help keep your brand in the mind of your community and foster positive purchase decisions. 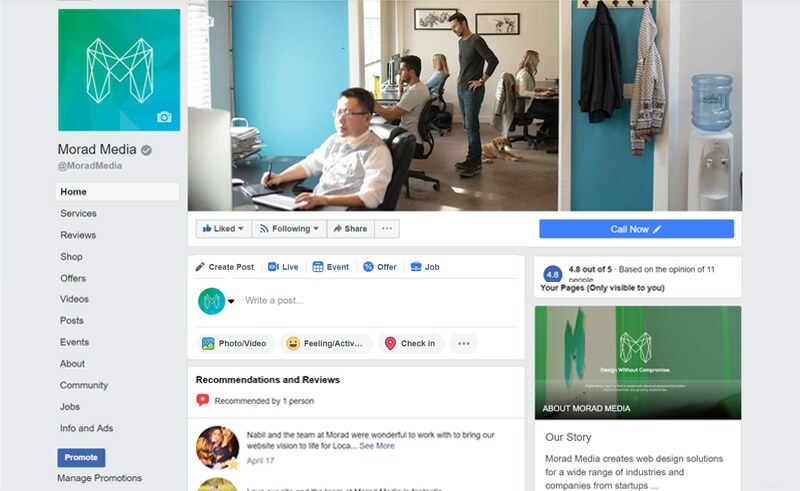 Once you have created a consistent brand personality and are posting regularly on social media, the next step is to showcase your live feed on your website. Your website is often the first place potential customers go to learn more about your business so showcasing your social media feeds on your homepage will help grow your following. Morad Media offers embedded social media live feeds as a standard in our web design packages. You can showcase your Instagram, Facebook or Twitter on your homepage using our live feeds widget. Once installed, your featured posts will update in real-time on your website as you post new content to social media. With these 5 tips for creating a brand personality, you should be well on your way to promoting your business on social media! For help with developing your branding or content strategy, book a free consultation with Morad Media. 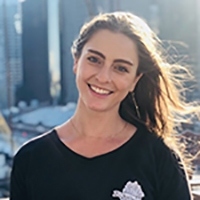 Claire Stevens is the owner of Crunchy Social, a social media management agency based in Sydney, Australia. She has a Bachelor in Commerce with a major in marketing and has worked with a number of brands on their social media accounts. With further experience in digital media, Claire has developed skills in promoting brands online and developing content to engage with brand audiences.